If you’re looking for an attorney who values close client relationships, you’ve come to the right place. With over 20 years of experience, I understand the importance of amicable resolutions; however, if faced with an unreasonable opposition, I will fight hard for you as my client toward the just result you deserve. As my client, you will feel instantly comfortable walking into my office and I will treat your case as if I am representing a family member. I understand the importance of amicable resolutions; however, if faced with an unreasonable opposition, I will fight hard for you as my client toward the just result you deserve. In 1995, I began practicing law full time and quickly built a successful medium size law firm of five attorneys. I wasn’t satisfied with the growing firm and felt I had lost touch with the most important part of practicing law–client relationships. As a result, I moved to Temecula in 2003 to start fresh with a focus on keeping things small, intimate and simple. If you are looking for an attorney who is like a “regular guy,” then I am the attorney for you. My goal as your lawyer is to guide you through everything making sure you are fully aware of all options during these transitions. I will help you understand the California laws and guide you to the resolution that feels right to you and won’t back down until you’re satisfied. Guiding both parties to a settlement in a neutral setting saves both parties a significant amount of money, time and unnecessary stress. You will walk away feeling satisfied that all issues have come to a mutually agreeable solution without casting any blame or judgement. Today’s business market is fast­paced and complex that you need a trustworthy lawyer by your side representing you in order to stay ahead of the competition. I’ll defend and protect your business, taking care of legal matters so you can focus on what’s important for your company. After being affected by a personal injury, the last thing you want to worry about is finding the right lawyer. My goal is to fight for you on your behalf and make sure you get the maximum economic and noneconomic recovery for what you have suffered. #1 When should I hire a mediator? As soon as there is a problem that you and the other party are unable to solve yourselves, it is the right time to start mediation. There are several benefits to coming to a resolution via mediation rather than through the typical litigation process including time and money saved, flexibility in scheduling, the informal setting, but most importantly, the results are much more likely to stick since the spouses tend to follow the agreement they felt was just for them. 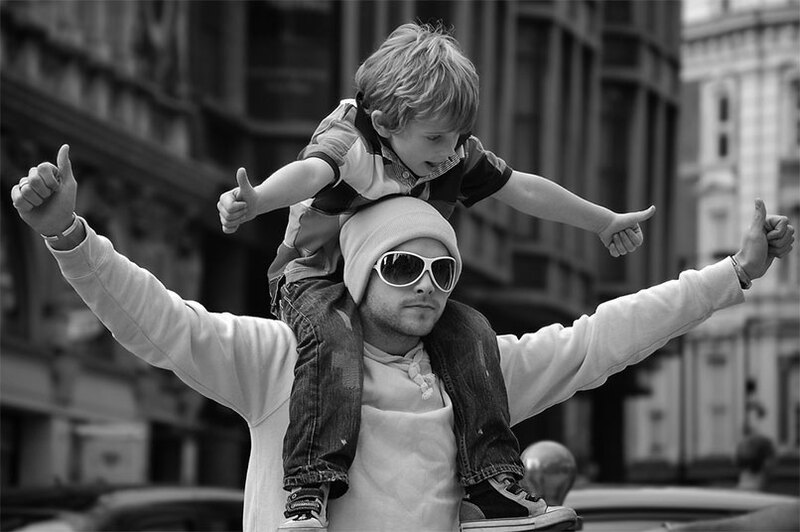 #2 How is Child Support Calculated in California? Judges follow complex guidelines in order to calculate the required child support responsibility. Based on California laws, the child support formula depends on the time each parent spends with the child, the amount of money each of the parents make, supplemental income either of the parents receives, tax deductions available, the number of children in need of support and child care/health insurance expenses. #3 What Does Joint Custody Mean? Joint custody is when both ex-spouses share the legal custody of the children. In a lot of cases, the children will primarily live with one of the parents while the other parent has a role in raising them. Other times, the children rotate from parent to parent. With joint custody, both of the parents have the right to sign school documents, give sick day permission and be informed about medical decisions. #4 Should I Hire an Attorney for my Personal Injury Case? After you have been injured in an accident, you can be sure that the people representing the negligent party will likely be an insurance company that will work to pay out as little as possible. It’s important to understand that when you retain counsel, you are making sure you do not get taken advantage of by the opposing side. There is very specific information that your attorney needs to gather for you in order to ensure a full and fair recovery. By simply going as far as securing counsel, the other side tends to act more reasonably in dealing with the entire matter because they know you are willing to go that far. #5 When is it Time to Retain a Lawyer for my Business? If you are forming a corporation with shareholders and a board, you will want to obtain counsel for legal help because the administrative side for sorting through the legal and tax requirements is complicated. You will want to consult a patent attorney if you are filing a patent to help you understand what rights you would gain with the patent and to evaluate your product. If you are buying or selling a business, you should obtain an attorney to help with negotiating the lease and sales agreements. “I started using Brad Landon in May of 2013. We had a court appearance two weeks ago and for the first time since the start of my divorce over 5 years ago and many court dates, I left the court feeling like we really had a victory. Brad came to court well prepared and ready to do battle..."
"Mr. Landon has handled all of my attorney needs for the last 7 years. This includes business and personal. He is literally "The Best" lawyer in the Valley. Mr. Landon is professional as he advises his clients and handles our cases. Mr. Landon is up front and pulls no strings...straight forward and to the point, perfect." "It was a long drawn out divorce and brad always came up with a new approach or change of tactics as needed. His papers to the courts were written with precedences from other cases. It was as though now matter how busy the judge might be, the decision/directions were laid out for him in black and white. He was calm and collected in court. Always returned my calls and even at his busy times would set appointments for the following week to see him. I got phone calls as reminders to when our actual court dates were so I would not miss them or confuse them." "I strongly recommend Brad if you need a straight forward, honest, down to earth, experienced and knowledgeable lawyer. I went through a very difficult divorce and Brad was always very calm. My case was not an easy one and Brad managed to settle it out of Court in 6 months minimizing my expenses significantly. His hours are very flexible allowing me to schedule appointments really early in the morning without impacting my work schedule"